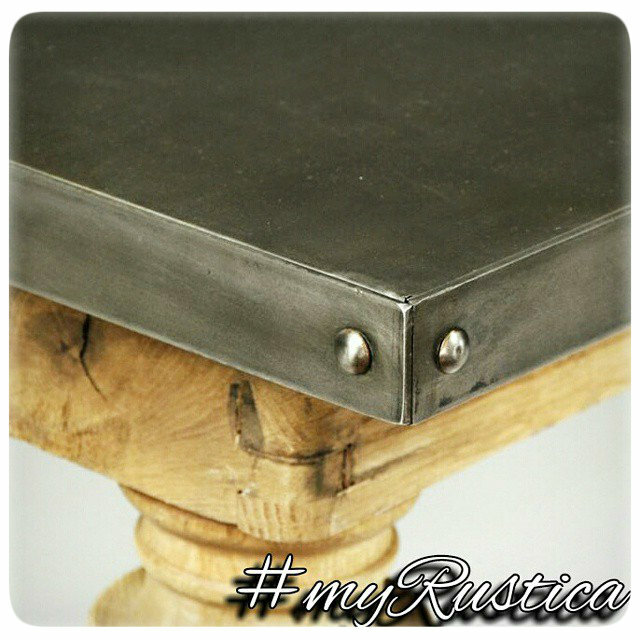 Copper and zinc tables for dining room and kitchen can be shipped with forged iron stands. For buyer's convenience, they are eight inches smaller than the table-top itself. 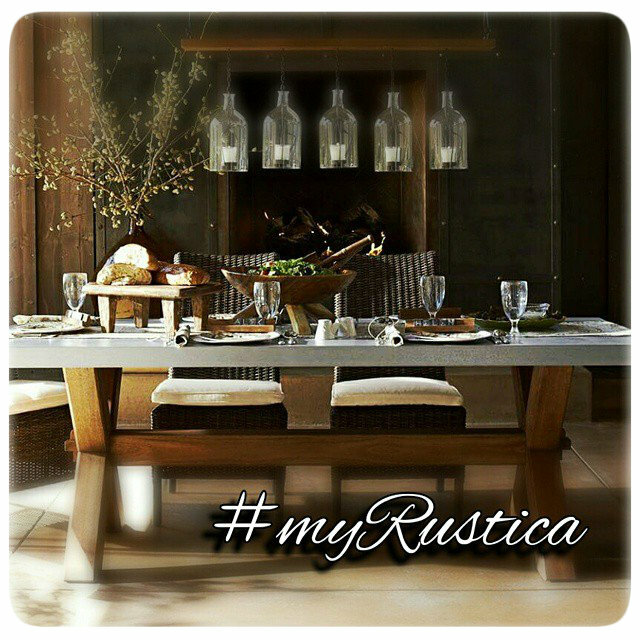 While zinc tables appear loft or industrial style, Rustica House tables made of hammered copper come with natural, antique, honey and coffee patina. Tabletop metal color can be selected from the page option menu. Delivery time of kitchen dining tables and table-tops from Mexico to the US mainland takes four weeks. While working on home improvement project, purchasing a brand new eat-in kitchen and dining room table is an excellent idea. 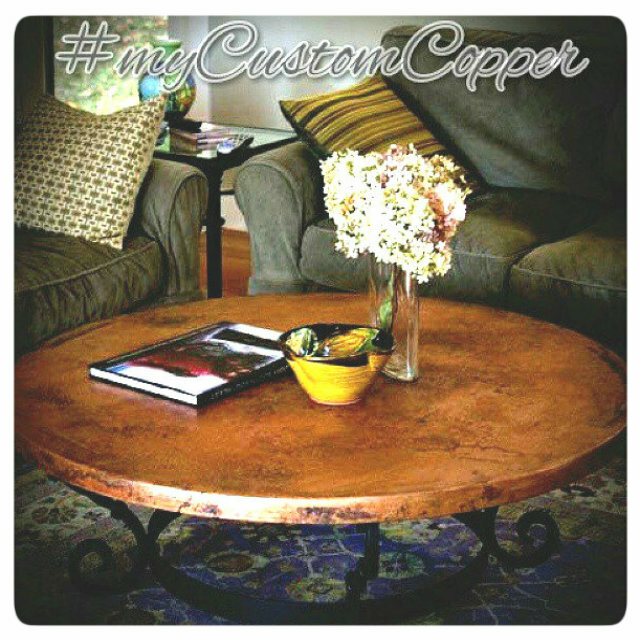 You have a choice of hammered copper, zinc and wood for the table-top and iron for the base. 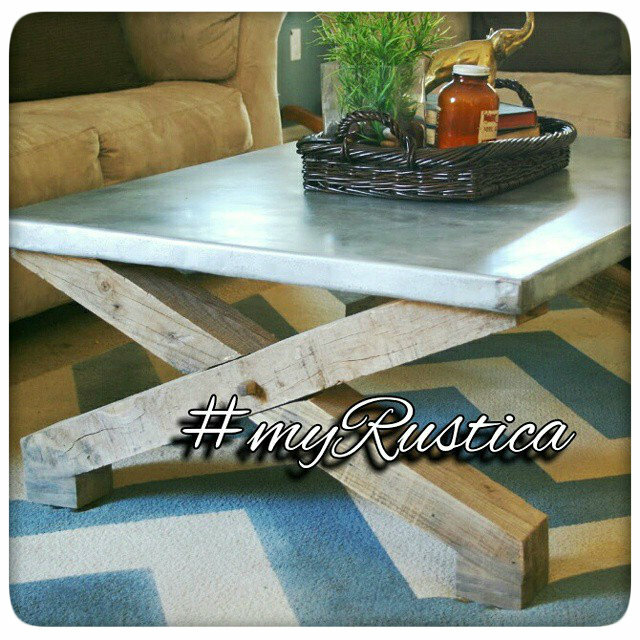 Tables are manufactured as rectangular, round and square or made to order. Standard dining room table height is twenty seven inches. 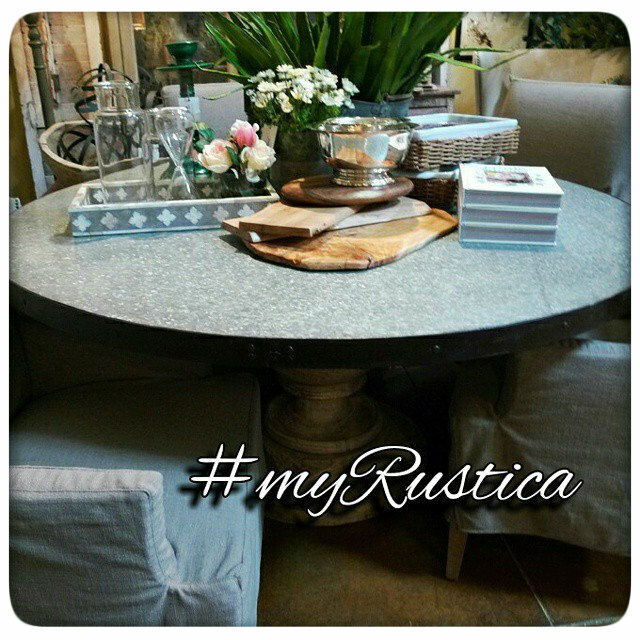 Even though we sell contemporary table bases, most of our furniture is maintained in colonial style of old Europe and Mexican hacienda. They blend best with traditional home furniture designs.